Animated images - known as GIFs - have been around for over 25 years. GIFs started to become mainstream in 2011 and since 2015 have become an increasingly popular way to share stories on social media, in private messages and even workplace emails. When GIFs first appeared in the 1990s, they were often tacky clipart images, known for poor animation and found across the web and instant messenger forums. The New York Times tried to explain the popularity of GIFs, thinking that nostalgia for those tacky images is partly responsible for a recent resurgence. Anyone who's seen, shared or created a GIF knows they aren't anything like earlier iterations from decades ago. Modern GIFs are short, engaging, funny, easy to make and play an important role spreading serious and funny ideas online. People are already naturally inclined to share images. We consume the messages far quicker than written content. When it comes to GIFs, people engage with them even more because they are short, eye-catching, don't need sound, animated, and auto-reply in a loop. This combination makes them exciting as a medium to create and share with others online. GIFs are hugely popular on Tumblr, Twitter and Facebook. Of course, you can find them on many other social networks and when searching for images/videos on search engines, but when a GIF has gone viral, you can be sure it achieved popularity through one or more of those social networks. Making and sharing an animated GIF is easy. Step #1: Find and open Gifox. We’ve tried numerous apps designed to create GIFs, and this has by far the best user experience. Gifox is a delightful GIF recording and sharing app. 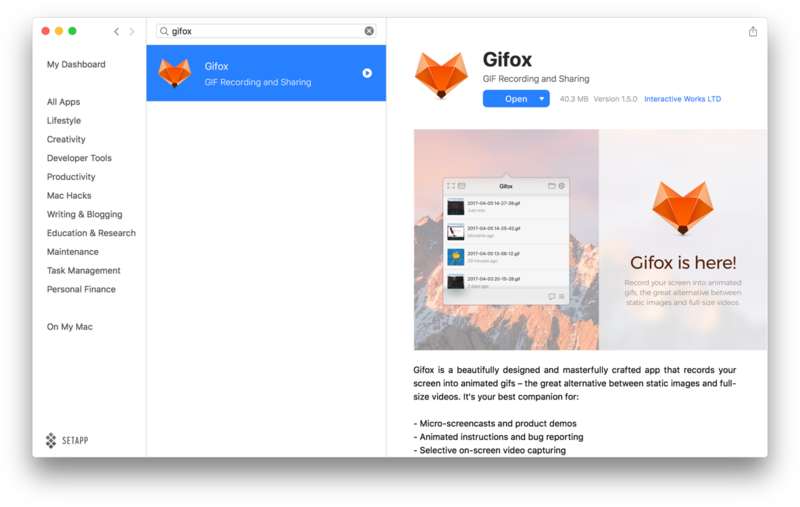 With Gifox, you can record your screen, or screen windows and turn them into animated GIFs and share with friends and colleagues. 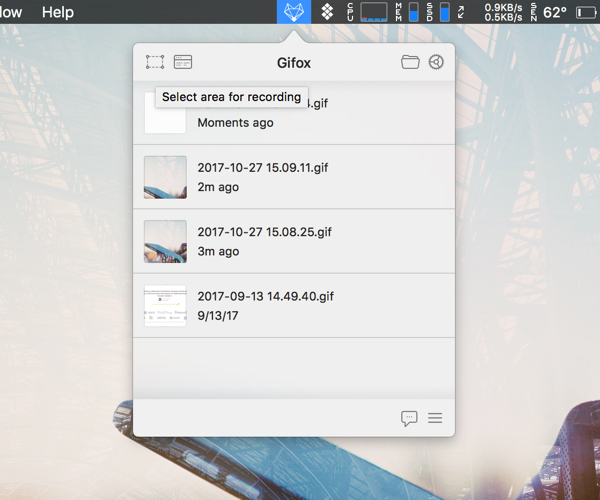 You can do all sorts with Gifox, making it easy to record and quickly animate a GIF using an app that fits neatly in your menu bar. With Gifox, you’ve got the advantage of either recording a window selection or your whole screen, and even add a fancy shadow and dozens of other setting changes, in only a few clicks. Open Gifox from your menu bar. Select Area or Window in the upper left corner of your menu options. Follow the instructions to start recording. 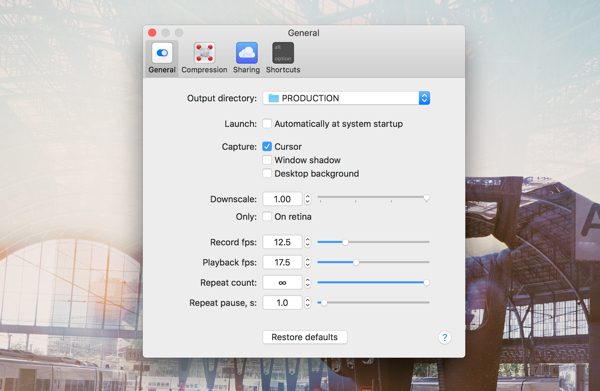 Once finished, click the Stop button in the menu bar to stop recording. Now you can edit and animate the GIF. It doesn't matter if you were recording an online video, an app or something on your screen - the ease at which you can edit and publish is the same. Gifox gives you a lot of control, including how fast a GIF plays, how often it repeats, screen elements and several other useful features. If you want to share with friends or colleagues, you can do so easily with Dropshare, the world’s easiest-to-use video, images and GIF sharing app. Download all of these and dozens of other useful tools with Setapp, where you can download these and dozens of other apps for a small monthly fee, and then never need to worry about upgrades or in-app purchases. Explore Setapp today: The first subscription for Mac apps. Get all the apps you need in a single subscription. No ads or in-app purchases. And the collection keeps growing. Find out more.